I lived in Alaska for almost three years, during which we traveled extensively within the state, often by car. You see, I lived in Fairbanks, which is in the interior, and without a substantial budget for airline travel, the only way for us to get anywhere was by car. Car tripping Alaska takes longer, but it allows you to see things you would miss when traveling by air. 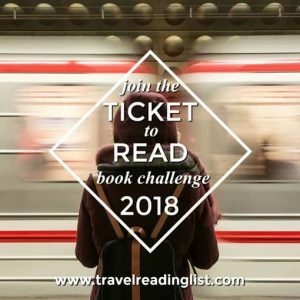 Alaska is the most beautiful place I have ever lived or visited, and I want to share a few tricks for road tripping the 49th state that I learned along the way. Follow these signs to navigate Alaska highways. Alaska’s highways are numbered and named. 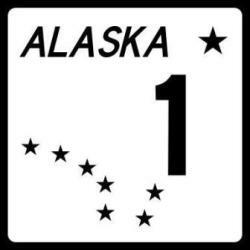 While routes are given Interstate names in certain written materials and maps, all posted highway signs are designated as Alaskan state routes, so don’t look for the Interstate “shield” symbol—rather, keep an eye out for the square, white-and-black state route signs featuring the Big Dipper/North Star emblem of the Alaskan state flag. Parks Highway (#1 and #3): The Parks Highway – or simply, “The Parks” – is probably the easiest road to travel in the state, being large and relatively well-maintained. The Parks will bring you from Anchorage to Fairbanks, and winds directly through Denali National Park, the home of Mt. McKinley. At 358 miles, the Parks makes for an excellent road trip; in optimal summer conditions you can make the trip from Anchorage to Fairbanks (or vice-versa) in 7-8 hours, but I recommend taking your time and stopping frequently to take photos. Richardson Highway (#2 and #4): Stretching from Valdez to Fairbanks, the Richardson is the access road to Wrangell St. Elias National Park. The town of Valdez is small but very scenic, and a popular destination for travelers, particularly in the summer. Seward Highway (#9 and #1): One of my favorite stretches of road in Alaska, the Seward is also known for being dangerous in spots so drive carefully and pay attention to road conditions. The 127 miles of highway that make up the Seward is a designated National Forest Scenic Byway so plan on stopping frequently for photos! The Seward will take you from Anchorage, south through the Chugach Forest and Turnagain Arm, and through the Kenai Peninsula to the coastal town of Seward, named for statesman William Seward who orchestrated the purchase of Alaska from Russia. Stop in Girdwood for great food, Whittier for boat tours, and then spend a few days in Seward, camping, kayaking, hiking, and wildlife viewing. 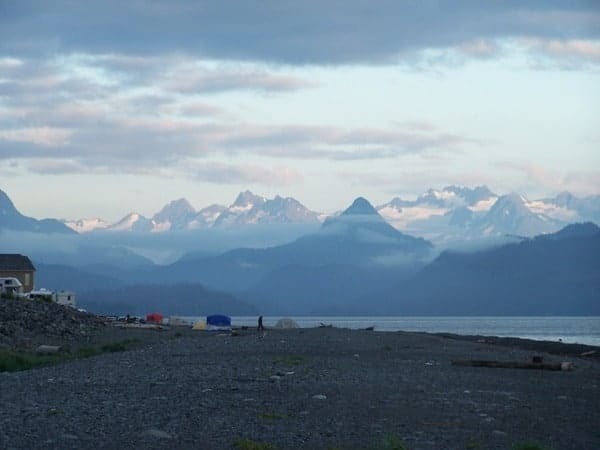 Sterling Highway (#1): Continue on from Seward, heading west and then south, to visit the fishing village of Homer, at the southern tip of the Kenai Peninsula. If you visit Homer don’t forget to stop at the Salty Dawg Saloon, where you can leave your signed and decorated dollar bill on the wall or ceiling – it’s a Homer tradition! Mine is up there, dated 2007. Park your car and walk out onto the “spit”–a skinny stretch of beach–in Homer, Alaska. The Milepost will be your best friend on an Alaskan road trip. 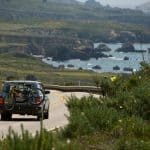 It’s an incredible resource for road travelers. The online version is quite good, we suggest using a VPN when connecting while traveling, but also highly recommend picking up a hard copy to keep in the car (and as a souvenir). The Milepost is updated every year, but we’ve used several older editions and it’s always served us well; if you can pick up an old edition for free at a local bookstore, go for it – any edition published within the last five years will contain accurate information. If you want a new edition, it’s money well spent. 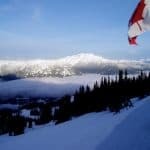 The Milepost details the Alaska Highway as it runs inside the state, as well as the greater ALCAN (Alaska-Canadian) Highway as it runs through Alberta, British Columbia, the Yukon, and the Northwest Territories. 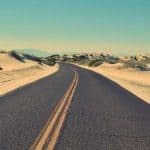 You will find information on all Alaska roads in The Milepost, as well as useful information for travelers about safety, camping, attractions, dining, and more. Coastal towns along Alaska highways offer charter glacier sightseeing trips. 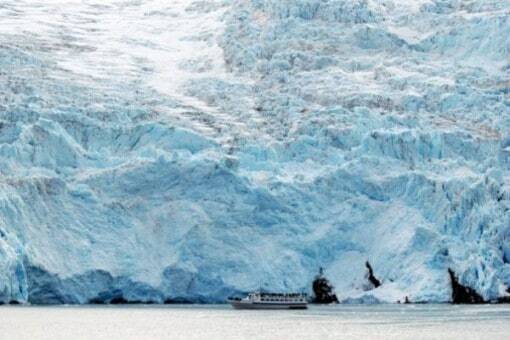 This photo is from a cruise on Prince William Sound out of Whittier, Alaska. Anchorage and Fairbanks are the two largest cities in Alaska, although the state capital of Juneau is a close second. Juneau is only accessible by air or water, so if you want to include it in your road trip you will have to make part of the journey by ferry. Juneau and Anchorage will both be a bit colder and wetter in the summer months; by comparison, Fairbanks is quite dry and sunny, with temperatures usually falling in the 70s or even low 80s. Decide what your priorities are and plan your trip accordingly. 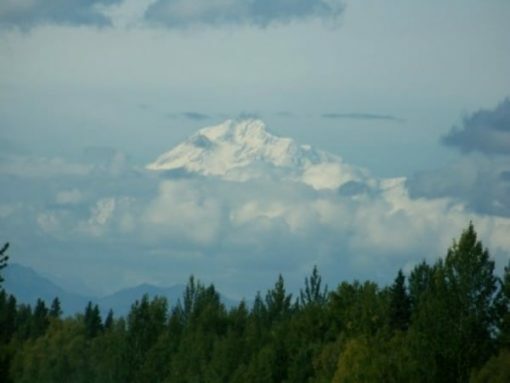 Spectacular mountain views: A trip from Anchorage on the Parks Highway, north to Denali National Park is a good bet; if it is a clear day, and if she’s in a good mood, you might even get a look at the crown jewel – Denali herself. Known as Mt. McKinley to Lower 48-ers, Alaskans call the mountain Denali. A drive to Valdez (val-DEEZ) on the Richardson is also a sure bet for mountain vistas. Warm, dry weather: Spend your time in and around Fairbanks. You will still have distant views of the Alaska Range, but the weather will be warmer and drier than it will be in and around Anchorage or the Kenai Peninsula. 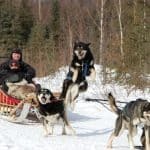 Fairbanks has plenty to do: hiking, fishing, museums – even a natural hot spring at Chena Hot Springs Resort, about an hour outside of the city. Marine wildlife and/or glacier viewing: Seward and Whittier are both excellent places to take charter tours for wildlife and/or glacier excursions. Ride in luxury on a heated boat while you eat crab cakes and sail past glaciers, or get up close and personal with glaciers on a kayaking trip. Bears, bears, bears: Your best bet is to spend a few days in Denali National Park. You are not allowed to drive around the park freely in your vehicle – the park restricts the use of personal vehicles to preserve the road and to protect wildlife – but once you are in, visitor buses will bring you all over the park. Igloo Creek is a great area for bear sightings. 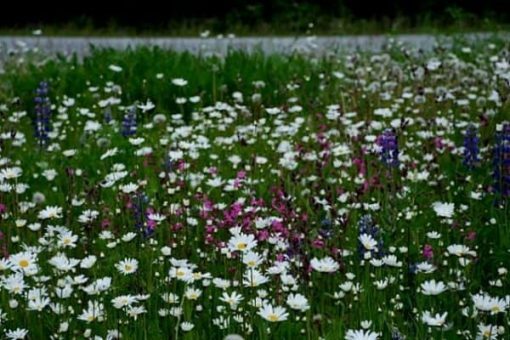 A field of wildflowers outside of Sutton, Alaska in July. Being outdoors in Alaska requires additional caution. Extreme weather and dangerous wildlife should make you careful – don’t be scared, just be cautious! Bears are only cute from a distance: Bear safety is serious business, so read up on best safety practices when enjoying the outdoors. If you are camping and hiking, invest in a can of bear spray, and secure all food, drink, and personal grooming products. Be prepared for cold, wet weather: Even in the summer, even in the Interior, you want to be warm and dry. Bring rain gear, long underwear, and proper footwear. Stay full: Always! The next gas station is not always around the corner. Camera – bring it: It goes without saying that you will want to take a lot of photos. Bring plenty of film or extra memory cards, depending on if you’re digital or old school. I also recommend bringing a journal and recording the photographs you take, and the impressions you get along the way. I promise that an Alaska road trip will be the trip of a lifetime. Photo credits: Alaska Highway shield SPUI; all other photos property of the author. Next post: Testing Thumbnails Posting!